I love families with special needs! My adopted twin sons were born with Fetal Alcohol Disorder and were later diagnosed with autism and developmental delays. They are now 22 years old and thriving! On this page I share what I’ve learned over the years about rearing and homeschooling children with special needs as well as some helpful links. If you have questions, feel free to contact me! 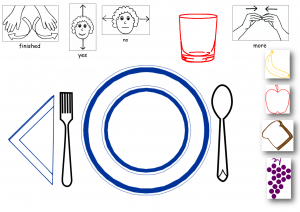 Communication placement to help teach your child how to communicate during meal time. 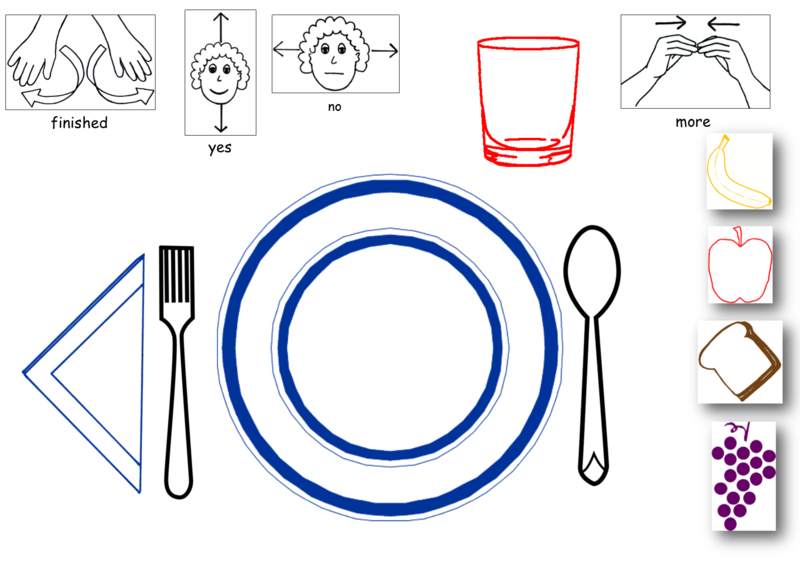 Child points to the picture to indicate their needs. Click to enlarge and print or make your own! Parents who have children with disabilities yearn for fellowship with adults as all parents do. But often, because their child’s disability is misunderstood, it’s not possible for their child to attend classes with their own age-mates so their parents to worship with the adults. I developed the P.A.L.S. program to help families attend church together. Click below for more information.